What makes the hero and heroine of The Celtic Fan unique? As far as tragedy goes, Diana Frazier, the heroine, has seen more than her fair share. But she’s not bitter; rather, she’s let her misfortunes shape her into someone whose talents far transcend what most people could understand. She plays the Tennessee music box, an obscure musical instrument of the Appalachian and Blue Ridge Mountain region. It’s usually made of scrap lumber and wire, sometimes clothesline wire! The last person who was an expert in its history and play was a gentleman who taught at Belmont University in Nashville, and he passed away several years ago. Diana must’ve learned to play from some grizzled old local. She’s disguised her house by not painting it or doing anything to the outside, but on the inside it’s very modern and nice. She still doesn’t have cable or dish. And she doesn’t care. That leads to the next one. When she visits Steve’s later that spring, she’s amazed at the programming on TV. She hasn’t had one in years. And from what she can tell, a lot of it is stupid anyway. She’s got a head of amazing hair. It’s the first thing Steve noticed about her. If she wasn’t careful with it, it would be everywhere. It could easily be dreadlocks in a couple of weeks. Steve Riley, the hero, is far different from any character I’ve ever written. He’s a gorgeous guy who’s almost 50 and has never been married. He swore off women after his last girlfriend gave him a gift that would’ve kept on giving had it not been for antibiotics. Ick. Someone who met him and didn’t know him would have trouble determining his heritage. A lot of people guess him to be Italian. His father was American, but his mother was from Bilboa in Spain! Even though he makes an excellent living and could buy anything he wants, he drives a blue 1989 two-door Mercedes coupe. He loves that car. He bought it new and can’t imagine driving anything else. With his ego, you’d think he’d have a sports car! The image of his mother dying, wasting away as cancer took her, is etched in his mind. He still has nightmares about it. It’s the other main reason that he’s quit womanizing. For reasons he can’t explain, he buys underwear with cartoon characters on them. That comes back to haunt him. I hope your readers will get to know Steve and Diana, as well as Bill and Claire, in The Celtic Fan. Thanks for having me here today. The Celtic Fan is a runaway bestseller. But no one's seen its elusive author. Nick Roberts doesn't do book signings, TV appearandes, or interviews. He's not on social media. No one knows him. And dozens of Internet groups have popped up, all looking for him, and some offering rewards for knowledge of him and his whereabouts. Four old friends are planning their annual "guys roadtrip" when Russ comes up with an idea: Armed with an address stolen from the publisher's database, they'll go in search of Nick Roberts in a sleepy little North Carolina town near the Smokey Mountains. But as Russ, Michael, and Jim get distracted by other things, only one stays the course: Steve Riley, a journalist from Knoxville, is determined to find Nick Roberts. Once on his quest, dealing with a deluge, flash flood, and an obviously incorrect address thwart Steve's chances to find Roberts. But as time and the elements have their way, Steve realizes he might be wrong about his failure. The question ceases to be finding Roberts. It turns out the real question is, if he finds Roberts, will he tell? Set in the foothills of the beautiful Smokey Mountains, Steve's story is interwoven with Roberts' original tragic tale of Bill and Claire, two young people in love in post-World War II America. It's a story of love, loss, and one man's tale of a story he never thought he'd tell. 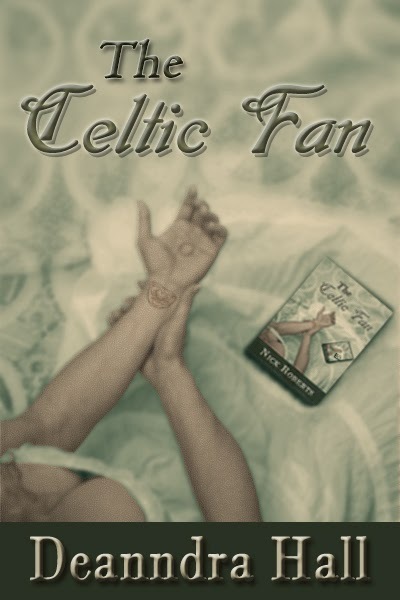 Deanndra is giving away 3 signed copies of The Celtic Fan either print or Ebook to 3 random commenters. I love it, Elise-Maria. It's steamy but still soft and sweet. I hope you get a chance to read it. I cannot wait to start reading this! I can't wait to hear what you have to say about it when you do! Thank you for entering! Hope you win! 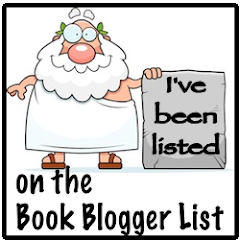 Jodi, I hope you got a chance to enter and, if you did, I hope you win a copy I think you'd love it! Thanks for stopping by. cant wait to read this book, awesome giveaway! Sounds like an amazing book! I am looking forward to reading this!